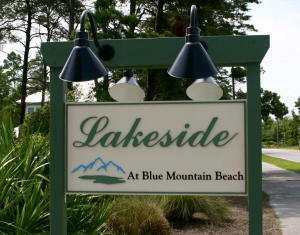 This lot is convenient to shopping at Red Fish Village, shops, restaurants,& bike rentals. It is a short walk to the gulf.It is also a short walk to the community pool and the ice cream shop. Grayton Beach,Seaside and Watercolor are a short distance. There is also a Publix grocery in Seagrove Beach.There are side walks and bike paths in the area. This community has 147 lots. Better get your before they are gone.This lot backs up to Pt. Washington State Forest.